In our mini-series on Global Value Chains (GVCs) we look how three German key industries – motor vehicles, chemicals and machinery – are part of complex international production networks that illustrate the key role of comparative advantage. This week: the relevance of economic ties between Central and Eastern European Countries and Germany. Germany’s integration with Eastern Europe has been a modern success story. 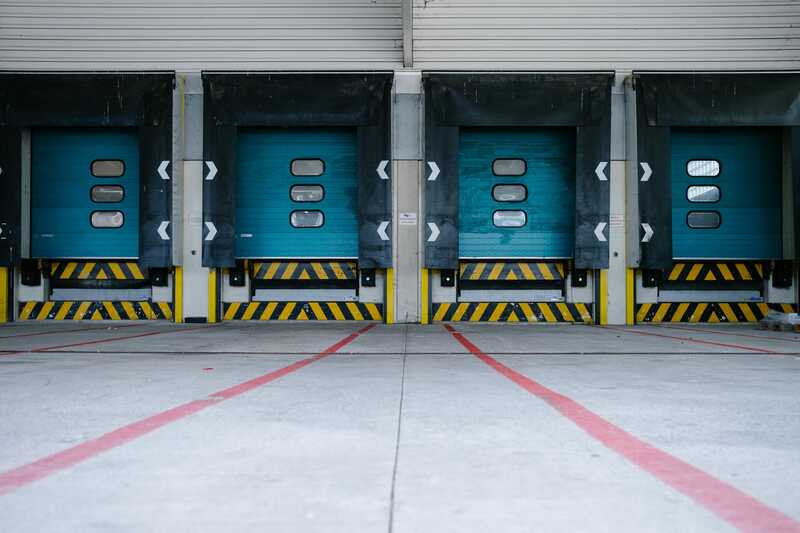 The value chains with Eastern Europe have helped Germany to retain a competitive edge and have helped the Eastern European economies grow quickly and converge gradually to the levels of Western Europe. For the purpose of this post, we understand Eastern Europe as the countries of Bulgaria, Croatia, the Czech Republic, Estonia, Hungary, Latvia, Lithuania, Poland, Romania, Russia, the Slovak Republic and Slovenia. While individually, most of these economies are small, together they actually constitute a very important market for Germany. Two historic moments mark Germany’s economic relationship with its eastern neighbors: the end of the Cold War and the Eastern Enlargement of the EU in 2004 when many of the countries in Eastern Europe became part of the EU eliminating a large share of the trade barriers and which led to an alignment of regulatory systems. This facilitated not only trade but also the emergence of close production networks – value chains – across borders. As in the previous blogposts of this mini-series, we are looking at the value added contribution to three German key industries: automotive, chemicals and manufacturing. As you can see in the figure below – here for the automotive industry – you can see that the value contribution from Eastern European countries to the value chain has steadily risen over time. The biggest surge occurred between 2000 and 2007 – clearly facilitated by the enlargement of the EU. Subsequently, the growth continued, albeit at a slower pace. The picture for the other key sectors is similar, although at slightly lower levels. Eastern European economies are not only important import markets for Germany and the German Economy, they are also important export destinations. The figure below compares exports to this region in value terms to other important German export destinations. 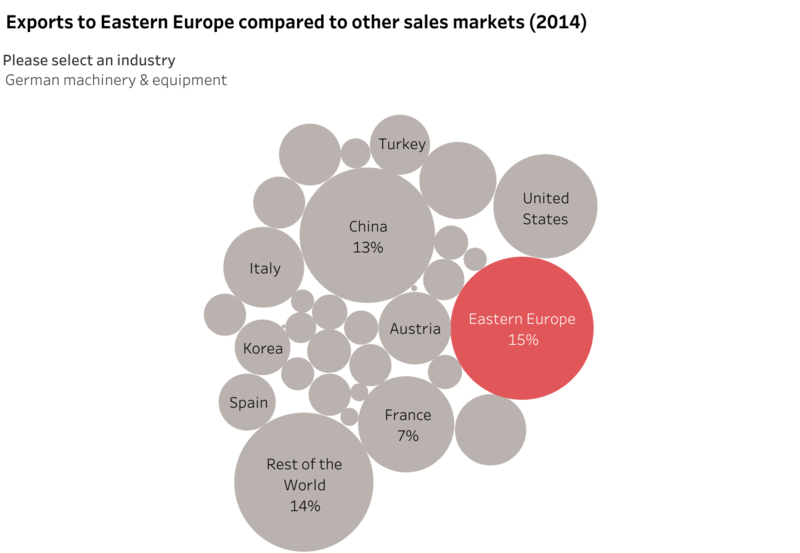 As you can see, for the machinery sector, the Eastern European region is just as important as China or the US. It’s similar for the other sectors. For the key industries we study in this mini-series, Eastern Europe is not just a source of inputs for German goods – it is also an important market for selling German goods – a clear win-win situation. Are the G7 countries no longer Germany's top trading partners ?